When using a camera housing with wiper, an essential and very important part of the system is the washer tank with pump. Tecnovideo produces a wide range of water reservoirs with different pumping height capabilities. The tank can be protected by a frame or by a cabinet, both in AISI316 stainless steel. 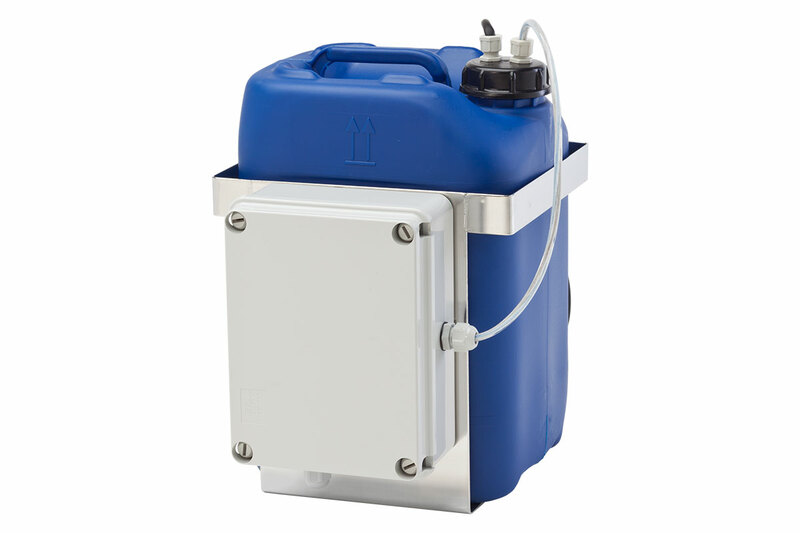 Every washer unit is provided with an IP66 rated watertight plastic junction box that contains the power supply for the self-priming submersible pump located inside the tank. 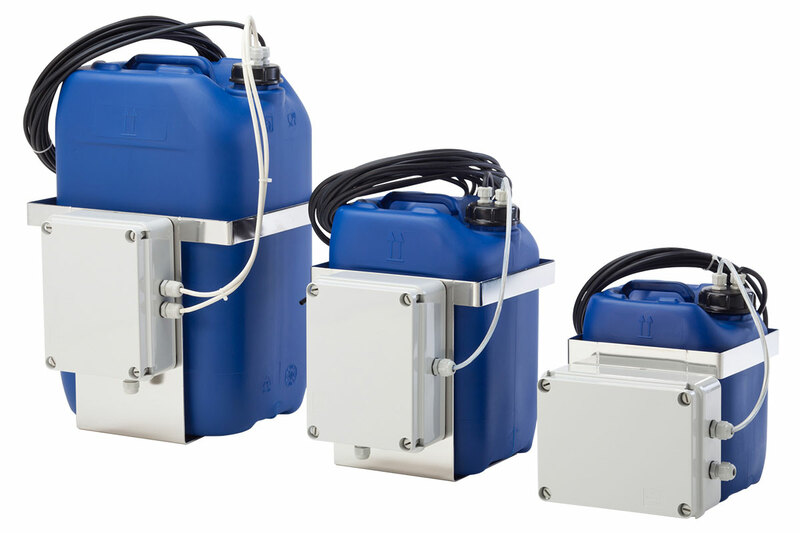 5, 10, 25 Litres tanks are available with 10 and 15 meters max delivery head and 24Vac, 110Vac and 240Vac supply voltage, to meet every installation requirement. Optional Float Switch and Refill Alarm Output can be provided. The float switch prevents the washer unit from running dry and therefore causing damage to the pump. It is wired into the washer power supply unit so when the water level drops too low the switch is activated and the power to the pump is cut. The alarm output can be connected to a suitable telemetry receiver that will alert the user when the bottle needs refilling. The cabinet is not available for 25 litres tank systems. 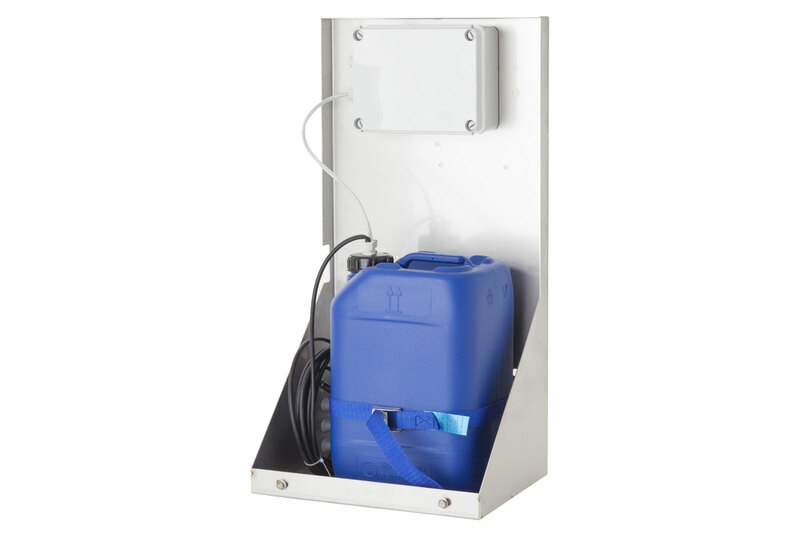 The 15 metres pump is only available for 25 litres tank systems. Every other configuration is available.